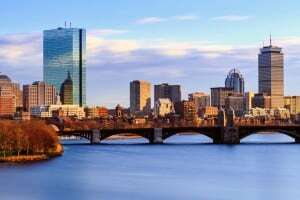 Fractional CISO provides much more than a Boston area temporary CISO. We offer something unique in the security industry. The mission of every temporary CISO is to partner with our clients to help them better understand their security needs. We deliver tremendous value by focusing on the key security elements that are applicable to their business. We learn your business and make decisions as you would, understanding your risk profile and prioritizing everything we do based on a rigorous risk classification system. Compliance can be one of the most business critical activities your organization undertakes. A temporary CISO can be key to solving this business challenges. Our team has extensive experience with many compliance frameworks and certifications. Many times, you need help telling your security story to close a deal or to better attract a particular market segment. We can help you with all manner of go-to-market activities including creation of security marketing content, discussing security with customers, answer security sections of RFPs, and recommending security language in contracts. Give Fractional CISO a call today to help you with your temporary CISO needs.